Jeffrey Welch's Blog: Is Dog Burping Normal? The post Is Dog Burping Normal? by Sassafras Lowrey appeared first on Dogster. Copying over entire articles infringes on copyright laws. You may not be aware of it, but all of these articles were assigned, contracted and paid for, so they aren’t considered public domain. However, we appreciate that you like the article and would love it if you continued sharing just the first paragraph of an article, then linking out to the rest of the piece on Dogster.com. As humans, we know that burping is the body’s way of releasing air from the upper digestive track/stomach through the mouth. 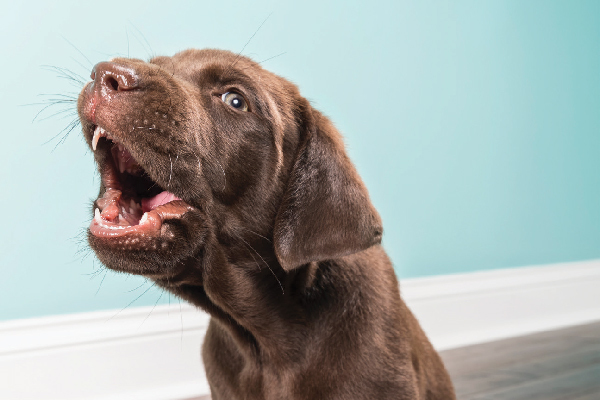 We have probably all experienced the sensation of burping — but what about dog burping? Do dogs burp? Is dog burping normal? Let’s take a closer look at dog burping here. Why is your dog burping? What causes dog burping? Photography ©cmannphoto | Getty Images. Dog burping happens for the same reason as human burping. There’s excess water in the stomach from swallowing too much air. The most common cause of dog burping is eating or drinking too quickly. What does dog burping sound like? Since dog burping happens for the same reasons as human burping, it’s no surprise that dog burping sounds like human burping. Embrace Pet Insurance Claims Manager Rachel Hinder notes that different dogs may have different-sounding burps. With my own dogs, it seems to be that the bigger the dog, the bigger the burping sounds. My 100-pound Newfoundland burps about as loud as a grown human, whereas my smaller dogs burp much more softly. Is dog burping ever serious? Dog burping is not necessarily the most pleasant thing, but it’s usually not a very serious condition. However, dog burping could be a sign of something more serious. Rachel cautions that your dog’s burping may also point to underlying conditions such as acid reflux and gastritis. If your dog is burping occasionally and doesn’t have any other medical conditions, it’s probably not something of concern. However, if your dog is burping regularly or the burping is accompanied by vomiting, diarrhea or anorexia, Rachel advises to bring your burping dog into the vet. Burping isn’t comfortable for people so it’s easy to assume that it’s not comfortable for dogs either. If your dog is burping because he’s eating or drinking too quickly, you can work to support a calmer and quieter eating and drinking routine. This will not only reduce the burping in question —it’s also better for your dog’s health in general. When it comes to a dog eating too quickly, a great strategy is to turn your dog’s mealtime into training time. Use kibble hand-fed as a treat to work on tricks or basic obedience. You can also feed meals in treat-dispensing balls. This is not only a fun enrichment activity for your dog — turning mealtime into a cognitive game — it will also slow down your dog’s eating and should reduce burping. Rachel also advises purchasing slow feeders. “These feeders are also a great source of mental enrichment and can be used to combat separation anxiety,” she advises. Thumbnail: Photography ©ClarkandCompany | Getty Images.